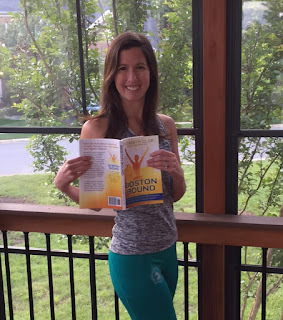 Exactly one year ago, I published my first book, Boston Bound. I never expected it would sell so many copies; I simply thought it might be helpful for someone to read so I put it out there. manuscript around to publishers. As I child, I was a prolific writer. I kept a diary, but I also wrote many short stories, which were actually more like sagas. In college, I majored in English with the goal of becoming a professional writer of some sort. I initially explored journalism through an internship after my second year of college, but I quickly realized that it was too boring for my taste. I often didn't care about the stories and I wanted to be more creative. The following summer, I interned at a public relations firm, which I found far more strategic and interesting. When I graduated college in the year 2000, my first full-time job was a Marketing Communications Associate for a technology company, MicroStrategy. In this role, I wrote web site copy, brochure content, press releases, and other marketing materials. The notion of writing a book was always in the back of my head, but I never felt "ready." I continued to keep a detailed diary of my life, which turned into a less private MySpace blog, which transformed into a very public running blog. When I started to go through the process of changing my mindset toward running by working with a sports psychologist, I kept track of everything on this blog, Racing Stripes. I began to think about my races differently, and my race reports became less about attaining a time goal and more about the process of running the race. I blogged about everything I was learning, and writing it all out helped solidify the ideas in my head. I had a breakthrough moment in 2013, and from there, everything started to change for me. With the help of a sports psychologist I transformed myself from a highly obsessive perfectionist who was always worried about how other people me, to someone who was more relaxed and truly confident. I became a happier person in all aspects of my life-- all because I learned to change my mindset toward running. Greg noticed a huge change in me, and he was the one who encouraged me to write a book shortly after I qualified for Boston in the spring of 2015. For a while it was something that I was going to do at some point, but then we had a serious conversation about it during our European cruise the following August. We talked about how I could actually make the book a reality, and I thought about how I might structure the story. On that cruise, I decided I would start working on the book when we returned home. 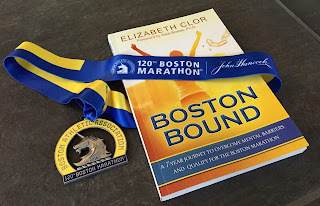 Boston was less than nine months away, and I figured I could write the book as the marathon drew nearer, like a reflective crescendo to the big day. So at the end of August, I sat down at my computer and began writing. I didn't tell anyone I was writing this book except for Greg and my mother. It wasn't that I was trying to be secretive, I just wasn't sure if I would actually publish it or if it would go anywhere. Also, I wanted it to be my own private, personal project. Writing the book was extremely therapeutic; it was my "me" time to solidify the seven-year transformation in my own head. The act of writing it was a deeply personal experience and I wasn't ready to talk about it. Perhaps the most difficult part of the writing process was determining how to structure the story. I ultimately settled on six parts, with three chapters each. I wanted the book to be approachable-- something that could be read in quick, digestible pieces, just like a blog. But I also wanted to take the time to lay out the entire story so that the reader would feel like he or she was "with" me. From being so active in the running community, I knew that I wasn't the only one struggling with race anxiety and the feeling of having to "prove" myself in running. I wanted to reach people who were holding themselves back without even realizing it, just like I had been doing. While writing the book was a personal experience, I kept my audience in mind with every word that I wrote. And to me, that's the fun of writing. The ability to tell a story or communicate an idea in a way that truly touches people is a beautiful thing. I wanted to connect with my readers on a personal level. Once I had finished writing the book, I gave the first three chapters to five trusted friends and asked for honest feedback. They all came back to me with similar comments regarding the chronology of events. Some were confused by the timeline and others had ideas on how the first chapter could be more impactful. I spent a good amount of time determining the best way to incorporate their feedback, and I ended up restructuring the first chapter completely. This was a hugely important part of the process because the first chapter is what draws the reader in. Once I was comfortable with the manuscript, I drafted up a pitch and shopped it around to a small number of select publishers. They all turned me down. One of them told me that there are so many running books out there, that publishers will only accept books written by professional athletes. As a marketer, I knew that this actually created a huge opportunity for me. If the only running books being published today are by elite athletes and coaches, then my book would stand out as being different and probably more relatable. Winning the olympics is a goal that few people have. Running the Boston Marathon (or simply getting faster) is a goal that hundreds of thousands of people have. So I set out on the self-publishing path which really wasn't all that difficult. I learned how to format the pages in good ol' Microsoft Word and I had a cover professionally designed. I researched stats on self-published books and I found that on average, a self-published book only sells 150 throughout its life. To me, the largest benefit of having a professional publisher is that they market the book for you. But I had been in marketing for over 16 years, so I didn't really need help there. I figured I could do all the marketing and PR myself. As I ran the Boston Marathon in April 2016, I thought about the book. It was fully written at that point, except for the last chapter, which would be a recap of the race itself. What would the final punctuation mark of the book look like? I actually wasn't even sure if I wanted to include my Boston experience. One of the major lessons of my book is that the journey is more important than the destination, so Boston as a destination really doesn't matter. But then I realized that it did matter, particularly since my experience of Boston was made 1,000 times more special because of all the struggles I had to overcome to get there. When everything was ready I asked myself if I truly wanted to put the book out there. After all, it contained many personal details about my life that could be ready by anyone. And maybe the book sucked. I didn't know! I couldn't be an objective judge. Greg and my mother told me they thought it was good, but those were obviously biased opinions. Once it was out there, I wouldn't be able to "undo" it so I needed to be sure. Ultimately, I realized I had nothing to lose, so why not publish it and see what would happen? I sent everything to Amazon and within just a few days, the book was available in paperback and on Kindle. 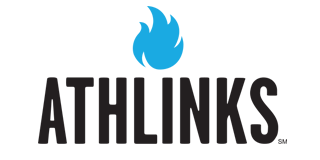 The official launch date was May 16th, 2016-- exactly one year ago! I announced the book's launch on my blog and posted about it on my personal Facebook page. Almost everyone was surprised, as I had only told about 10 people about it prior to publishing. I also created a Facebook page for the book and built a website for the book. Perhaps the biggest promotion channel was Instagram, where I had been trying to grow my following in anticipation of publishing the book. I think I had around 900 followers at the time, most of whom were runners. The first person to purchase the book and read it (to my knowledge) was my friend Rochelle. She downloaded the Kindle version and sped through it within 24 hours. Her feedback was glowing and she found the book to be relatable and honest. The sales started to trickle in. I had a dashboard that reported how many books were sold, but I had no idea who was buying them or how they had heard of the book. A few weeks after publishing, a stranger reached out to me on Facebook telling me how the book changed her life, and that she had highlighted certain portions of the book and was planning to read it again. I was deeply touched. Knowing that I had made a difference in someone's life was extremely rewarding. The book started to gain momentum and within one month the book had sold over 150 copies, which is more than most self-published books sell in their lifetime. Before I knew it, I was scheduling book signings and being interviewed for podcasts and magazine articles. Of course, I was doing all of this on top of having a full time job and training at high intensity in the heat. That's when the mono struck and my body shut down for three months. Even through my illness, I continued to promote the book on Instagram and Facebook. People started reaching out to me on social media telling me that the book really helped them, not just in terms of running, but in terms of other things they were going through. To date, Boston Bound has sold well over 2,000 copies. The book is still being purchased on a daily basis and has taken on a life of its own. As I said earlier, I would have been happy just to reach the 150 mark, with half of those being my friends. I never expected the book to be so popular. I definitely plan on writing another book, but I am not sure when or what exactly the topic would be. In the meantime, I will continue to promote Boston Bound and capture my ongoing running journey here on this blog. Special thanks to Greg for encouraging me to make the book a reality, to my mother for editing the book three times, and to everyone who has allowed me to touch their lives through my words. I absolutely loved your book and I read it in less than a day (on my way to Wisconsin to run a 1/2 marathon with my best friends 14 year old!) Congratulations on the anniversary!! I read your book and quickly recognized it was a "keeper" - a unique adventure and perspective of a "mortal" runner. Not sure if I first joined your blog, or encountered promotion for the book somewhere, bought the book, started reading, then went to the Racing Stripes blog. Why your book and why your Racing Stripes? Well I was compelled by your story of what could be considered a journey, but in the end really an adventure (as in adventure has no expected outcome). But more so, your story had great interest...if not connection with me in some ways...simply because this spring I ran my 9th consecutive Boston Marathon. I am not as fast or as good as you in mindset or with the focus and quality you put forth in your training. You are far more competent runner than I, yet we both shared a compassion to achieve the plateau of "qualifying" for Boston and the experience the glory of actually running it. just a discrete and detailed portrayal of that course mile-by-mile...what to expect...what to watch for...plus how to use mass-transit to get anywhere to parts of that point-to-point, from Hopkinton all the way to Boston. After 9-years of running it...and countless recon excursions (field notes too), I know that marathon course really intimately. But your book is well-written...only sometimes confusing at times making the switch in your chronology relative to excerpts from the Blog vs your normal narrative. IF I ever get serious and decide to write that book about the course...would likely have to be self-published also. I might even be interested in having you as a consultant if and when I actually start compiling something other than field notes and maps. One last thing...hoping in the future to "run" into at Boston Marathon informally. If so, I likely might just start with, "Hey, are you Elizabeth Clor, who wrote that book Boston Bound and does the Racing Stripes blog?" Consider me a disciple and follower of your blog. What started out as a "journey" for you (mission-oriented)...turned out to be an adventure (no planned outcome)...right? Congratulations! I don't remember how I started following you on Instagram, but that is how I found out about your book. So exciting that it has done so well! I loved Boston Bound--it was one of my favorite books I've reviewed for my book club! Congrats and I hope it continues to inspire others as it did me! Ahh such a fantastic achievement! Well done :) Something no one can ever take away from you, both the experience and the fact that you're able to say "I've written a book". I love your book! Hopefully others read it and get inspired by your story/experience.